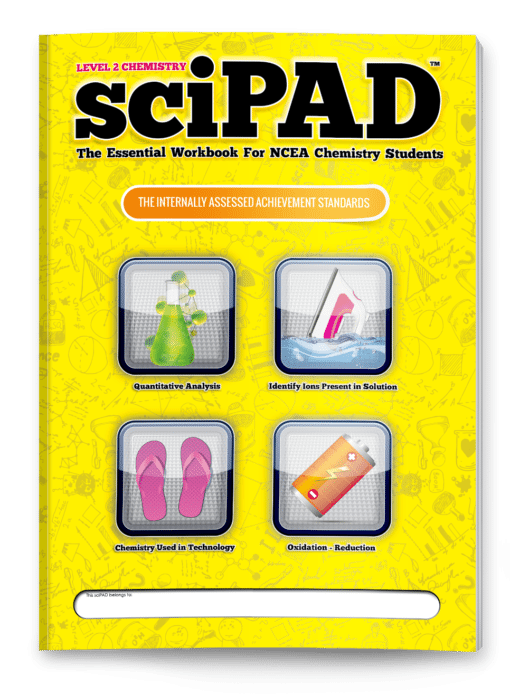 The Level 2 Chemistry sciPAD (internals) workbook provides comprehensive coverage of the four Level 2 Chemistry internally assessed Achievement Standards AS 91161 (2.1 - Carry out quantitative analysis), AS 91162 (2.2 Identify ions present in a solution), AS 91167 (2.7 - Oxidation - Reduction), AS 91163 (2.3 - Current Technology). Each chapter is divided into manageable sections. Learning objectives are clearly specified at the start of each section. 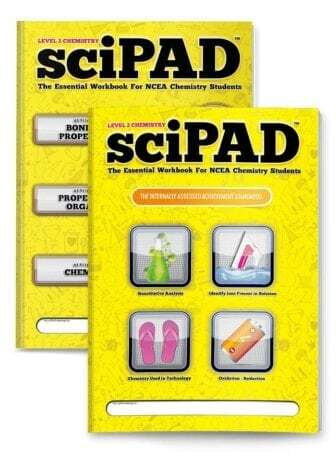 Comprehensive notes and activities are designed to develop the students understanding in a supportive manner. 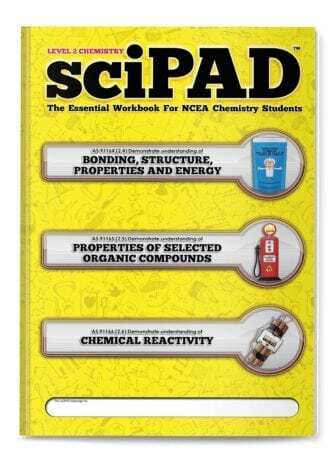 Chemical concepts are presented using language students can easily understand.Complex concepts are broken-down in a stepwise manner. Numerous tried and tested practical investigations are included. 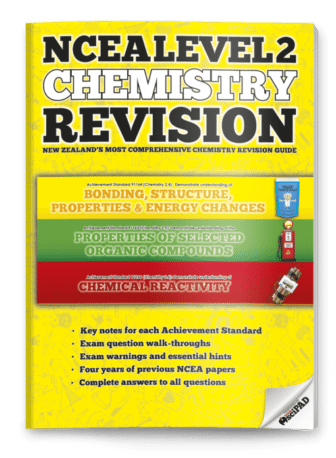 Downloadable digital versions and answers are provided to use on smart boards or through data projectors. 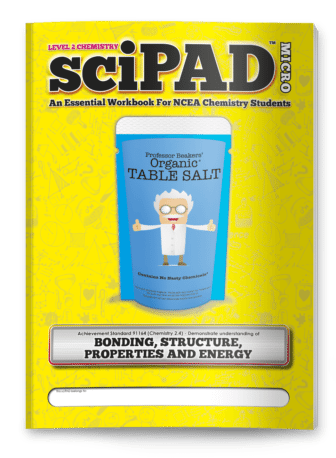 At 104 pages you won't find a more comprehensive, exciting, or engaging chemistry workbook for your students.